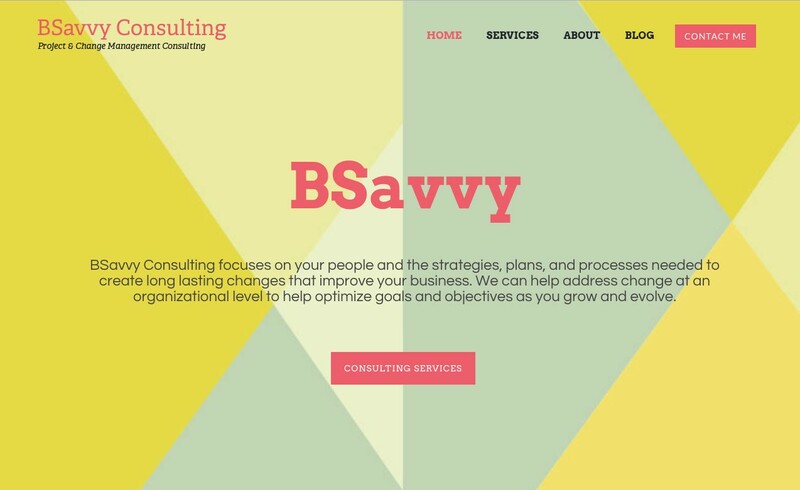 BSavvy Consulting is a one-woman project and change management consulting firm. The owner had a snappy business card, but no web presence to get her online effort rolling. Without any graphic logo to speak of, we took the text treatment from her business card and recreated the colorful graphic fractal design to act as the color scheme for the website. The website is a ‘one-pager’ which jumps down the page from the navigation menu. The owner has begun to blog, if for no other reason than to keep the site active for search engines by adding new keywords and content on a regular basis.